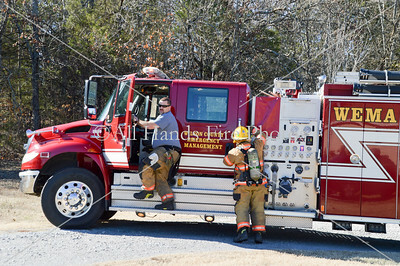 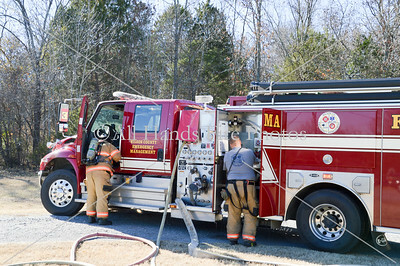 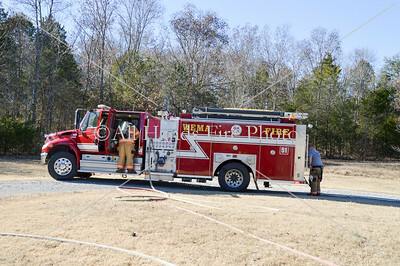 901 Sullivan Bend Road - At about 11:30 AM, Firefighters from Wilson County Emergency Management Agency were dispatched to a report of a Camper on fire in the rear of a residence. 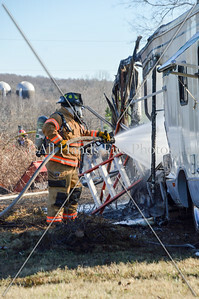 Engine-51 was the first unit to arrive on scene, and Lieutenant Scott Lorden reported that he had a 30 foot camper on fire, as well as a grass fire. 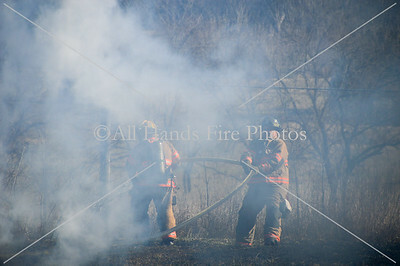 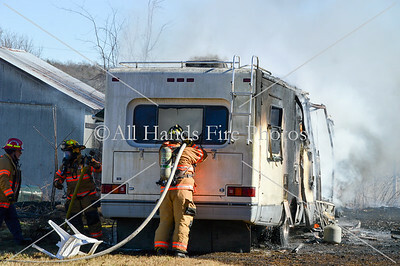 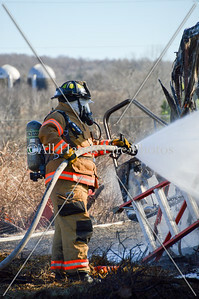 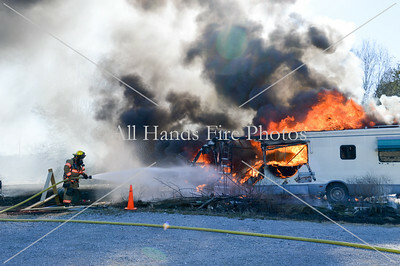 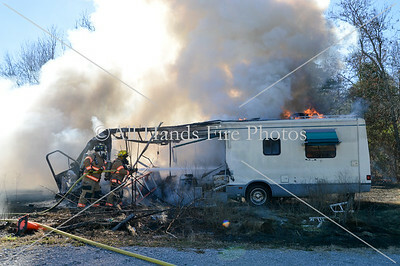 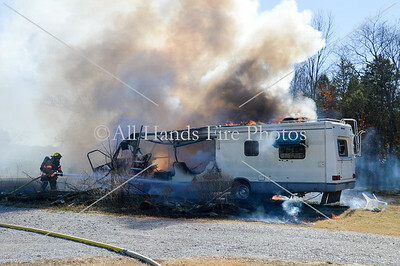 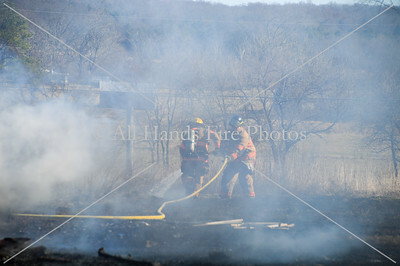 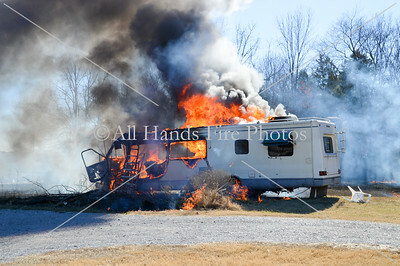 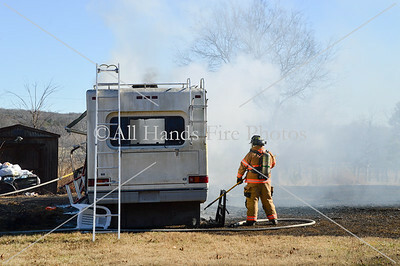 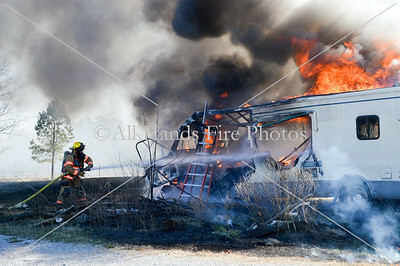 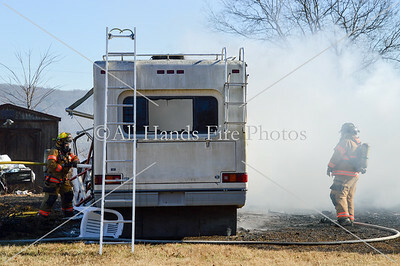 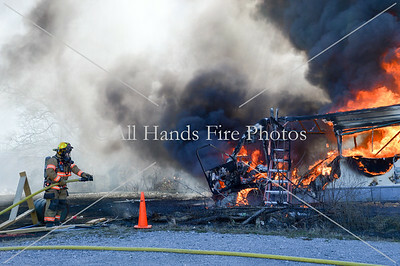 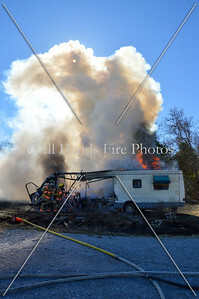 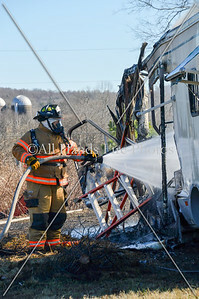 Medic-101, Engine-11, and Brush-11 were on scene shortly behind the first due and supression efforts commenced. 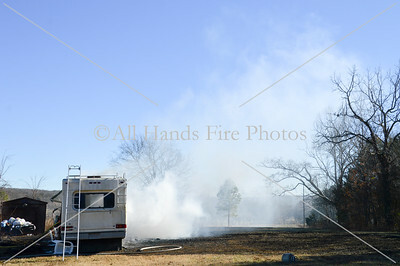 Fortunately, there was a fire hydrant in the front yard and water supply was not an issue. 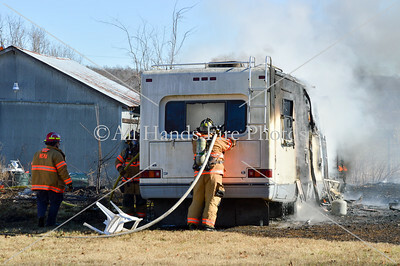 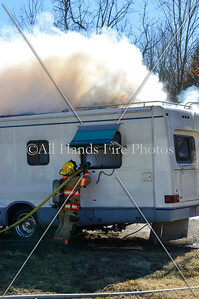 Crews made short work of the blaze and were able to return to service rather quickly. 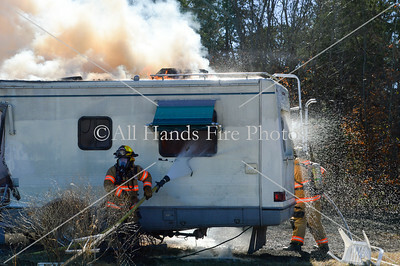 The resident who was in close proximity to the camper at the time of ignition was not severely injured and elected to go by personal vehicle to get checked out by a doctor.